Over the next few months, Google will begin providing more fine-grained control over what account data Google users can choose to share with third-party apps. The change makes it so users must individually grant or deny each permission to access data in their consumer Google account, rather than accept or deny permissions all at the same time. 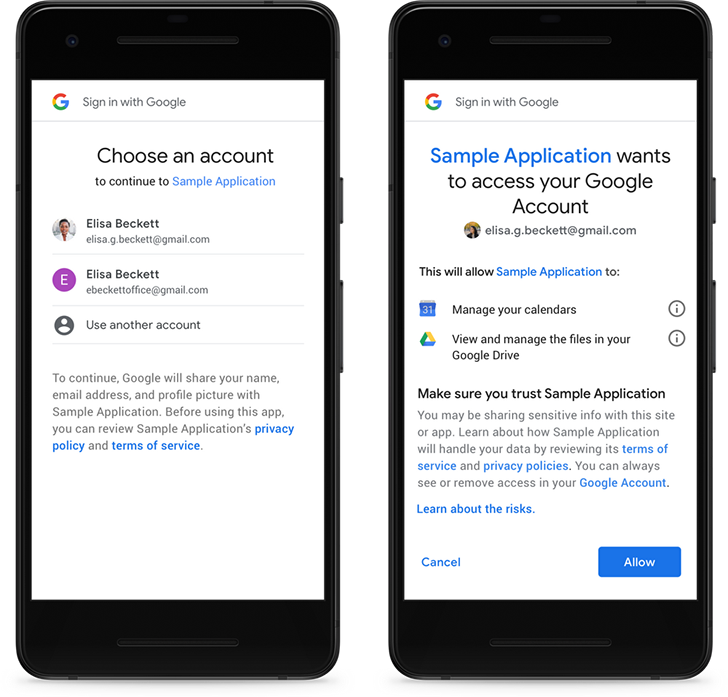 In other words, when an app requests access to Google account data, multiple dialog boxes pop up, each with a request for a particular permission, rather than one large dialog box with all the requested permissions (i.e. location, contacts, calendars) lumped together. How the Google Account permissions dialog box looks now, as opposed to the new version in header. As I noted above, this change isn't major, but it is a step in the right direction. When the permissions show up all in one dialog box, it feels daunting — like an all-or-nothing decision. Soon, there will be more nuance. In addition, Google is now limiting use cases for accessing Gmail permissions, and limiting the ability of third-party apps to receive call log and SMS permissions on Android devices, as well as nixing contact interaction data from the Android Contacts API. Whether all this is enough to convince regulators and the public that Google can self-regulate is another story entirely, but from the media response we've seen today, it likely won't be this easy.